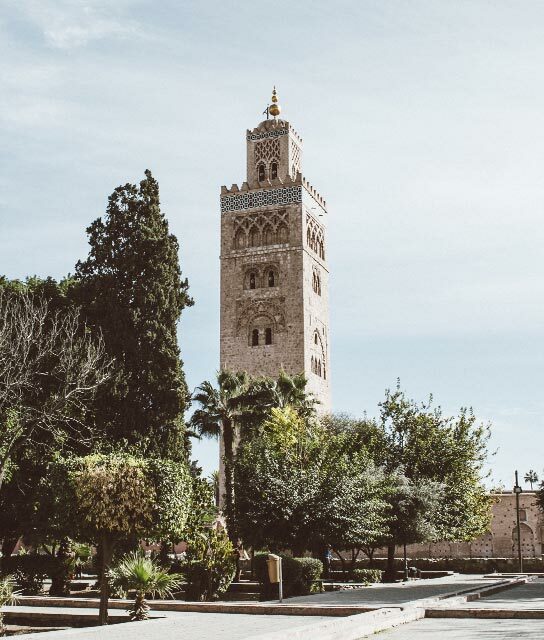 One comes to modern metropolises seeking entertainment, but to ancient ones, such as the Pink City of Marrakesh, to experience life amid the echoes of history. This ancient spot, with its medina lanes leading to riads and souqs, and its medieval Islamic architecture in the shadow of rugged mountainous landscapes, is alive with the spirit of the past. Even high above the streets from the window of your hotel Marrakech seems to draw you into its soulful clutches. Which is not to say that things aren’t changing here. When it comes to style, nightlife, and the see-and-be-seen crowd, Marrakech is fast becoming the hotspot of North Africa. This is due, in part, to Continental jetsetters and Hollywood celebrities who now regularly set out from their Marrakech hotel to wander through the old streets in search of luxurious spas, hip boutiques, and restaurants featuring world-famous chefs. Below find a list of our selection of boutique and luxury properties in Marrakech. The 300-year-old city palace AnaYela is the jewel of Marrakech, and offers the key to the magic of the medina.